Looking for the perfect way to treat your mom on 30A during Mother’s Day weekend? 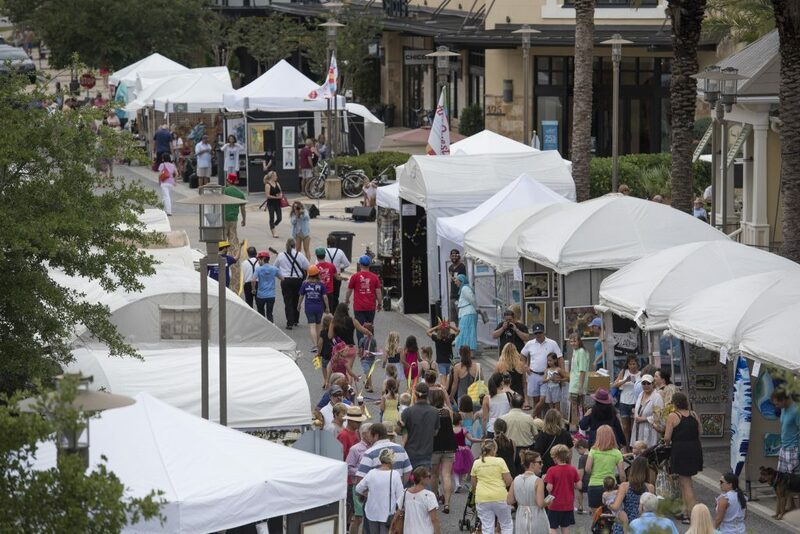 The ArtsQuest Fine Arts & Music Festival takes place in the Town Center of Grand Boulevard at Sandestin May 12th through 13th. Produced by the Cultural Arts Alliance of Walton County, ArtsQuest provides an opportunity to view and purchase original art from over 150 artists from around the country while also experiencing live musical entertainment, ImagiNation (where kids rule), student exhibits and great food and beverage options in the Town Center of Grand Boulevard at Sandestin. ArtsQuest is a juried show that includes artists in the categories of Ceramics, Fiber, Glass, Jewelry, Metal, Mixed Media, Oils & Acrylics, Original Digital Art, Photography, Sculpture, Wood and Works on Paper (Watercolor, Printmaking, Pastels, Pencils, Ink). ArtsQuest awards $10,000 in cash prizes and is a rain or shine event.